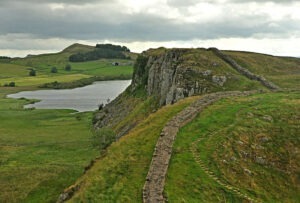 For centuries the purpose of Hadrian’s Wall, and the life of those who built it and lived near it, were shrouded in archaeological mystery. In Adrian Goldsworthy’s new book on the wall he illuminates the subject by synthesizing the latest research, and bringing to bear his powerful historical imagination on the subject. And, speaking of historical imagination, in the United States he has simultaneously published a novel set along the border of Roman Britain—the second of a series—with his study of the wall itself.